Being an introvert in an extrovert world is hard. It’s grueling work and often leads to introverts believing there is something wrong with them. 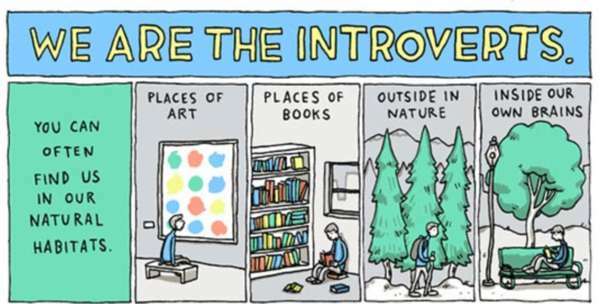 I am an introvert. I can’t tell you how many times I’ve been told to talk more. Or how many times I’ve been made to think that there was something wrong with me because I prefer to spend time alone, read a book and/or write. I’ve had people look at me like I’m from a different planet because when they asked me what I was doing, I told them I was writing. My brothers bug me because I read so much. My dad has even commented on that I have too many books. I’ve had people ask me if I could be loud because they had never heard me be loud before. media overload we get. Extroverts often look at introverts as if they are from another planet because they don’t want to interact with people all the time. They’d rather be alone and read a book. 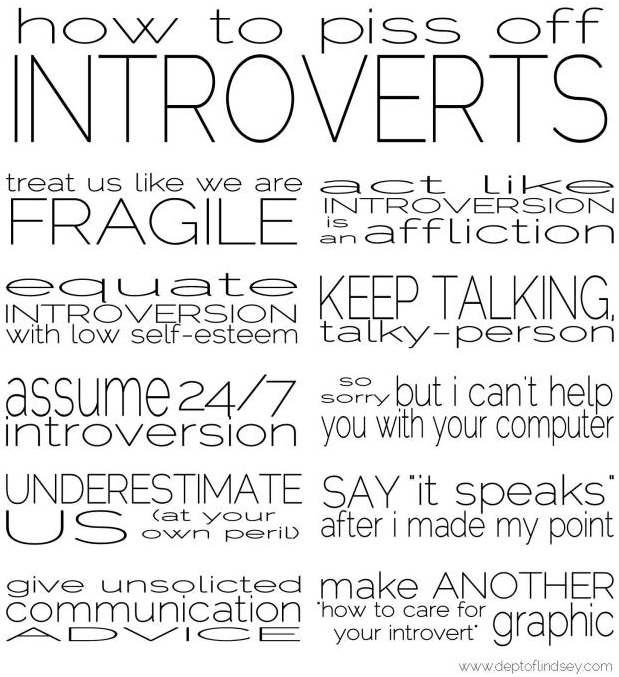 Extroverts can’t understand this. 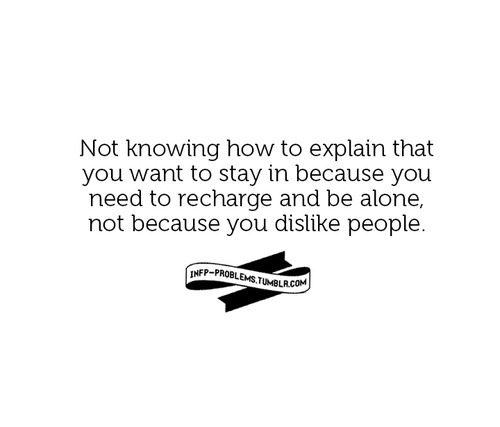 Because of this, introverts often think that there is something wrong with them. I do this to myself as well. I’ve been asked many times if I have any exciting plans for the weekend or for the evening and I tell them no unless I have something planned where I will be hanging out with people. I’ve been led to believe that unless I am socializing with people, it’s not exciting. If I don’t have plans to hang out with people, my plans aren’t exciting. Yet, to me, my plans energize me, whether I plan to read a book or two, watch a hockey game or one of my shows on TV, or even getting things done that I know need to get done and I want to get them done. 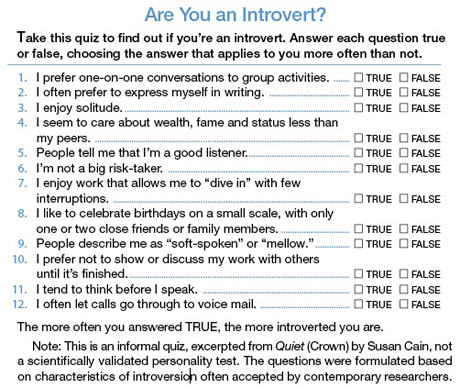 In schools now, they give away marks for being extroverted. Whenever I saw that I was going to get marked for participation, I cringed inside. You mean I’m going to get a lower grade just because I don’t talk as much as the extroverts? Participation marks made me mad sometimes. As an introvert, I need to process what I hear before talking so in class discussions, by the time I had thought of something to say they were past that point and it would make no sense to say what I had been thinking. This happened quite often and there were times when I would not even pay attention to the discussion because I knew I would never have the chance for any input. So, of course, I would get a low grade for my participation. school life (which are the only two assignments/tests/exams I’ve ever failed in my whole life). One was because I wouldn’t speak up and take charge of the assignment when my opinions would have differed from the three guys’ in my group. Another assignment I failed was because my partner didn’t let me help and then by the time she wanted me to help, the assignment was late and I had no time to do it. So forgive me if I don’t like group assignments. Here is a TED Talk video that talks about introversion which my brother sent me a while ago and now I recently listened to again. 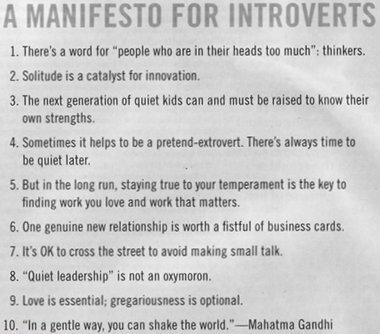 We, introverts, need to embrace our introversion and not the extroverts make us think there is something wrong with us because there is not we are just different from them.